In 2018 season, Sebastian Geyer will make his debut at Vienna’s Volksoper. At Oper Frankfurt he will sing Aeneas in Purcell’s Dido and Aeneas, Ingo and Kellner in the world premiere of Herrmann’s Der Mieter, Barone Tito Belcredi in Trojahn’s Enrico. At the Edinburgh International Festival 2013, the baritone made his debut singing Aeneas in Purcell’s Dido and Aeneas. 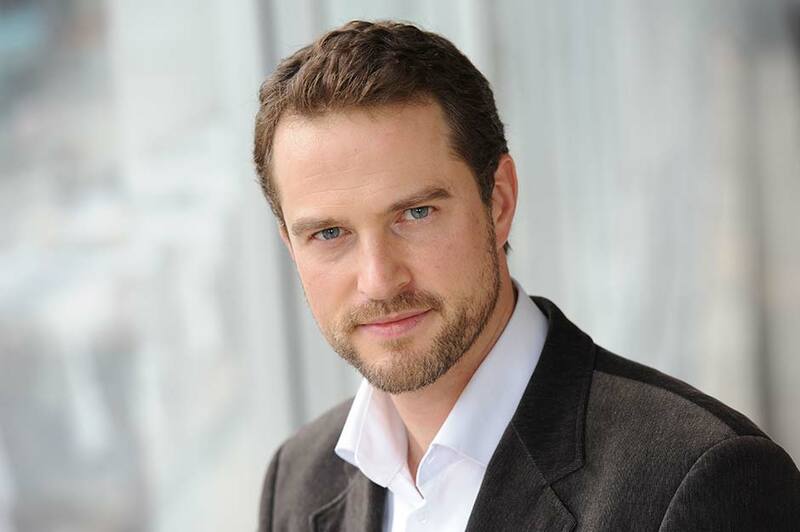 In 2010, Sebastian Geyer made his company debut at Oper Frankfurt singing Conte Almaviva in Mozart’s Le nozze di Figaro, followed by Mozart’s Guglielmo in Così fan tutte and Papageno in Die Zauberflöte as well as Dr. Falke in Strauß’ Die Fledermaus and the title roles of Handel’s Giulio Cesare, Mozart’s Don Giovanni and Telemann’s Orpheus. Sebastian Geyer’s concert repertoire includes Brahms’s Ein Deutsches Requiem, Handel’s Messiah, Haydn’s The Creation and Mendelssohn’s Elijah as well as Bach’s oratorios and cantatas. Also a dedicated lied singer, Sebastian Geyer sings Beethoven’s An die ferne Geliebte, Schubert’s lied cycles as well as contemporary lieder by Wolfgang Rihm. In 2014, he made his debut at Opera de Lausanne singing Schubert’s Winterreise. Sebastian Geyer worked with the early music ensemble La Stagione Frankfurt, as well as with Munich Symphony, hr-Symphony Orchestra and the WDR Rundfunkorchester in Cologne. He has collaborated with conductors including Christian Arming, Ivor Bolton, Constantinos Carydis, Titus Engel, Andrea Marcon, Cornelius Meister, Ingo Metzmacher, Erik Nielsen, Steven Sloane, Eugene Tzigane, Sebastian Weigle, Andriy Yurkevych and Lothar Zagrosek.